Michigan Farm To School - Blog: 2018 Michigan Good Food Summit - Save the Date! 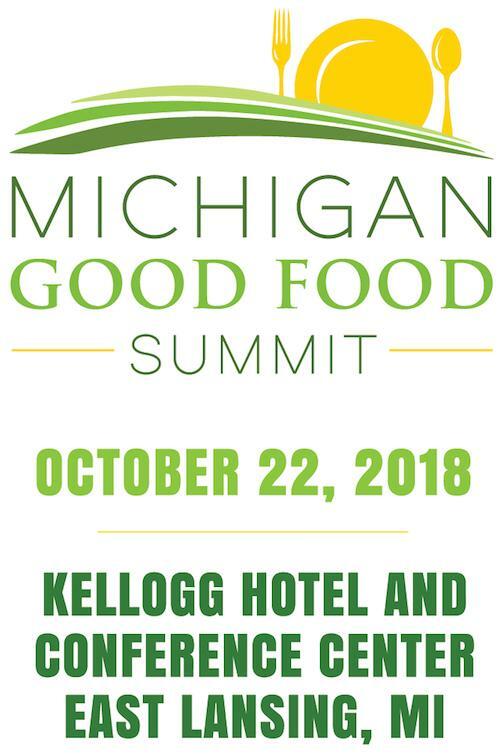 This October, the Michigan Good Food Summit will amplify under-represented voices across the food system as we continue advancing the Good Food Charter's vision of equity, sustainability and a thriving economy for all of Michigan and its people. Whether you're a food consumer, grower or buyer; line cook, server or chef; advocate, educator or policymaker - join us in East Lansing to connect with others advancing good food and equity in Michigan! Breakout session proposals will be accepted through www.michiganfood.org/summits. Diane Drago at ddrago@dmsevents.com or (734) 747-2746.